Acne is a chronic condition of the skin. It affects millions of people and is frequently treated in esthetics. This article will delve into the most successful ingredients and treatments for eliminating acne—“the acne arsenal.” However, before exploring them, it is important to first learn the causes of acne and the elements for a successful acne protocol. People troubled by acne are genetically coded for retention hyperkeratosis, a condition where dead epidermal cells stick to the skin and within hair follicles. An overproduction of sebum, which is also genetic, constantly coats this cell “buildup,” initiating a “clumping” process inside the follicle. This clumping of dead cells and hardened sebum in the follicle causes the development of microcomedones, which eventually evolve into non-inflammatory, open and closed comedones or inflammatory lesions (papules and pustules). When the follicles are blocked with these impactions, an anaerobic environment is formed. This makes it ideal for anaerobic bacteria such as Propionibacterium acnes (P. acnes) to flourish in the follicle. The addition of the P. acnes bacteria causes infection and inflammation, leading to follicle ruptures and inflammatory lesions. Aerated (aerobic) environments kill off anaerobic bacteria, including P. acnes, and keep bacteria levels in check. Reducing and preventing skin inflammation. 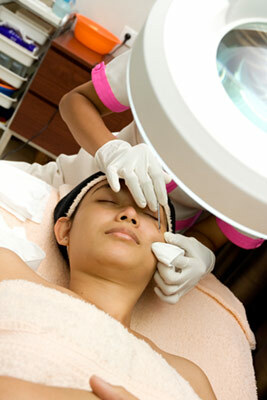 There are many tools available to the esthetician to aid in the management of acne-prone skin. A well-planned treatment program, involving both in-clinic and self care by the client, can successfully clear the skin and maintain its condition using techniques to prevent recurring acne flares. Listed here are the most beneficial ingredients for acne treatment, provided in no particular order. These (products or ingredients) chemically exfoliate the skin. Chemoexfoliants work by loosening bonds between dead corneum cells. They help break apart cell buildup and impacted follicles. Well-known chemoexfoliant ingredients include alpha hydroxy acids (AHAs) such as glycolic and lactic acid; the beta hydroxy acid (BHA) salicylic acid, and benzoyl peroxide (BPO). AHAs. These naturally-occurring mild acids (including glycolic, lactic, malic, tartaric and mandelic acids) can aid in clearing clogged pores, breaking apart cell buildup and refining skin texture. At levels of 8-10% in daily use gels, they help to break up impactions and also will prevent the re-accumulation of cellular buildup. Keratolytic (protein-dissolving) enzymes such as bromelain, papain and pancreatin are used in mild exfoliation treatments. They help to remove dead surface cell buildup by dissolving keratin protein. Antimicrobials are agents and ingredients that kill bacteria. Three over-the-counter (OTC) and U.S. Food and Drug Administration (FDA)-approved antimicrobials are effective in acne treatments: BPO, sulfur and salicylic acid. Some botanicals also are known to have antimicrobial properties but they are not recognized by the FDA. BPO. Widely thought to be the most effective active to treat acne, BPO has a sloughing effect in the follicles and a drying effect on mature acne lesions. It also releases oxygen inside the follicles, killing P. acnes bacteria. Leave-on BPO products should be used nightly by lightly applying them to all areas of acne-prone skin. This helps to break up microcomedones deep within the skin that cannot yet be seen on the skin surface. This technique prevents microcomedones from progressing into larger lesions, and clients need to be taught to apply products to whole areas rather than just applying them to visible lesions. In OTC products, BPO can be used at 2.5%, 5.0% and 10.0% concentrations. At 2.5%, BPO in gel formulations has proven effective in most cases and without the irritating side effects of redness and peeling that higher percentages of BPO can produce. It is advisable to start with a lower percentage to check its effectiveness before using higher concentrations. BPO is used in acne washes, leave-on gels, masks and other products. It also is present in some prescription products, and often is combined with a retinoid such as tretinoin. Sulfur. This ingredient is an antibacterial that exfoliates dead cells and is also effective in reducing swelling associated with acne lesions. It may be used alone or in combination with resorcinol in acne-drying products. Salicylic acid. This BHA has mild exfoliating, antimicrobial and soothing effects. Salicylic acid is used in OTC acne treatments as well as in peels, at-home exfoliators and other products for oily skin. Hydrating ingredients or products improve the skin’s ability to retain moisture at its surface. Clients with acne are subject to areas of skin dryness caused by the drying and peeling agents used to treat it. Alternating hydrating fluids with drying agents will therefore help to reduce dryness, flaking and the potential irritation sometimes associated with chemoexfoliants. Used when a client has allergies to BPO, resorcinol is typically combined with sulfur in OTC acne preparations. This topical exfoliating and antiseptic ingredient is not as drying as BPO and is therefore often promoted as an adult acne treatment preparation. Vitamin A derivatives often are used to treat acne. Many, such as tretinoin and adapalene, require a prescription. Retinol is a non-prescription retinoid but it most often is used as an anti-aging treatment. In the acne arsenal, the right treatments are equally as important as ingredients. Discussed here are acne treatments the skin care professional can use—although not all treatments are suitable for all patients. 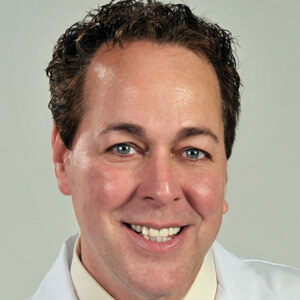 Great care must be taken to consider the acne’s severity and the client’s skin type and sensitivity. Peels are sometimes used to help clear follicles of cellular debris and refine skin surface textures. AHA and salicylic peels are the most commonly used, and often are alternated or combined within deep-cleansing extraction treatments. Desincrustation is a process that loosens impacted material in the follicles. Using complexes of surfactant ingredients that break up the sebaceous (fatty) plugs, these alkaline preparations work on the fat plug itself. Desincrustation products often are used under steam, to prepare the skin for follicle (pore) extraction. Performed during a professional facial, pore impactions are pre-softened by desincrustation, then removed by manipulating the follicle using gloved fingers, cotton swabs or metal comedo extractors. Extraction treatments boost the clearing of problem skin, as long as they are accompanied by a proper home care program. For acne and clogged pores, a mild Galvanic current can be applied to the skin to help the desincrustant penetrate further into the follicle. The current itself also produces an alkaline effect within the follicle, helping to loosen sebaceous materials. Alternating, low-amperage current applied to the skin surface using glass electrodes has an antimicrobial effect. It also increases surface circulation, helping to reduce swelling, especially in the area of acne lesions. High frequency is applied after extraction and may be used over water-based products such as serums. Light-emitting diode (LED) treatments using blue light are helpful for clearing acneic skin. Such treatments often are used after other facial treatments for problem skin. The blue light has a toxic effect on acne bacteria and kills them. However, while blue LED treatments are helpful, they do not take the place of agents like BPO. They are best used in conjunction with a complete home care program. Most treatment masks for acne-prone and oily skin are based on bentonite and kaolin clays, and may contain other anti-acne agents such as sulfur or BPO. In the clinic, they are used after extraction treatments. At home, they can be applied several times per week if the skin is oily. Routine at-home use helps to speed the clearance and drying of lesions. However, masks can be over-drying if used too often or left on the skin for too long. In cases of sensitive skin, soothing masks with calming agents such as matricaria or licorice may be used to address redness and irritation. This in-clinic professional exfoliation treatment mechanically exfoliates the skin surface by spraying the skin with particulates such as aluminum oxide (corundum), or by gently abrading the skin against a surface with diamond fragments. This treatment may be helpful for skin with non-inflammatory acne and multiple comedones, but it is not generally recommended for inflammatory acne conditions. Many fatty agents used in skin care and cosmetic products can penetrate the follicles and cause the formation of comedones in acne-prone skin. Moisturizers, makeup foundations and other leave-on skin care products have been implicated. In relation, comedogenic refers to the tendency of certain ingredients or products to cause hyperkeratosis in the follicle and lead to comedo formation. Therefore, non-comedogenic products have been carefully developed and tested so they do not cause these effects. Non-comedogenic products are preferable for all acne-prone and clog-prone skin. Twice daily cleansing using rinse-off foaming cleansers helps to control the excessive sebum that affects acne-prone skin. As previously described, controlling sebum is important, as there is a direct correlation between excessive sebum production and the severity of acne. 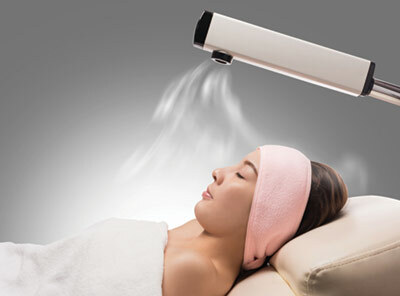 Steam is used for professional facial treatments, especially in conjunction with desincrustation products. It softens pore impactions for extraction. Sun protection is important for all skin types, including acne-prone skin. Care should be taken to ensure that non-comedogenic products are used on clog-prone and acne-prone skin. Clearing acne takes a programmatic approach. Coordinate a program for your client based on their individual condition and sensitivity level. Educating them also is paramount; be sure to teach your client about their skin and detail their proper care program.